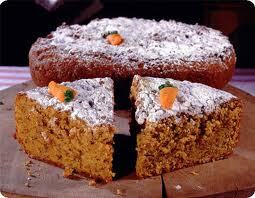 Carrot Torta is a simple recipe that will be a huge it at your next family get-together! If you’re anything like me, though, it won’t all make it there because it is so phenomenal that I can’t resist “sampling” as often as possible. Peel and shred/chop carrots until very fine. Add the next 9 ingredients and mix well in bowl. Pour mixture in a well greased 2 quart, 8 x 11.5 in pan. Mix the pound cake in a mixing bowl with the melted butter and sprinkle over the mixture. Bake at 375 degrees for 35-45 minutes or until brown. Serve warm as a side dish or dessert.